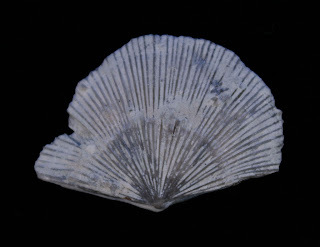 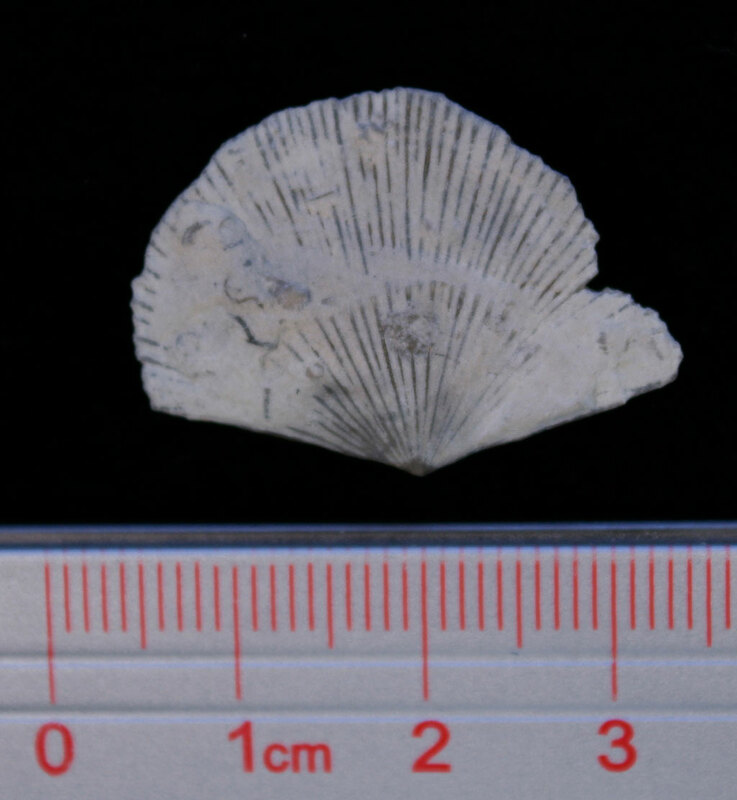 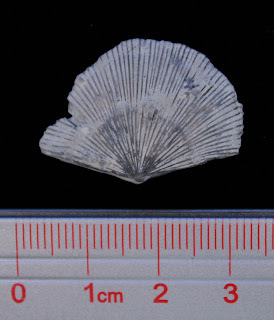 This fossil was an interesting find in that is both sides of what I think is a Fardenia subplana brachiopod. Usually, they are just found with one side of the shell. 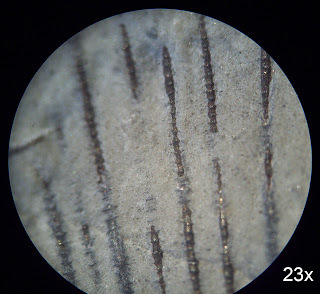 The big surprise was when it was put under the microscope. Magnification revealed that some of the plications had fossilized as pyrite. 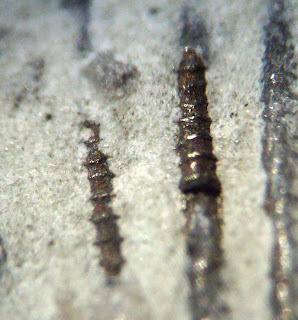 The pyrite section almost looks like little Tentaculites. if they only were conical and not cylindrical.